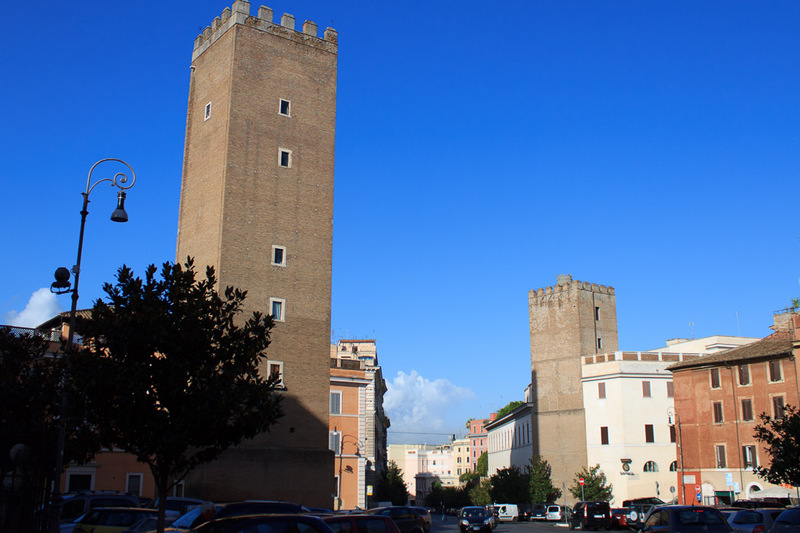 There are two medieval towers in Piazza San Martino ai Monti. One is the Cappoci tower (1st photo below), which is 118 feet tall and was built by the Arcionis family and passed to the Cappoci family. The other shorter tower was constructed by the Cerronis family, to which the famous painter Pietro Cavallini belonged, and was passed to the Graziani family, a family of Sabin origins (right tower in 2nd photo below). The church of San Martino ai Monti is in the same piazza. 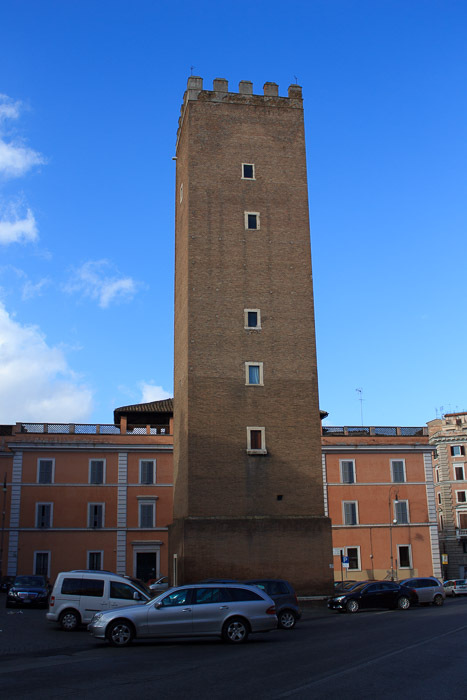 See all Towers in Piazza San Martino ai Monti photos.